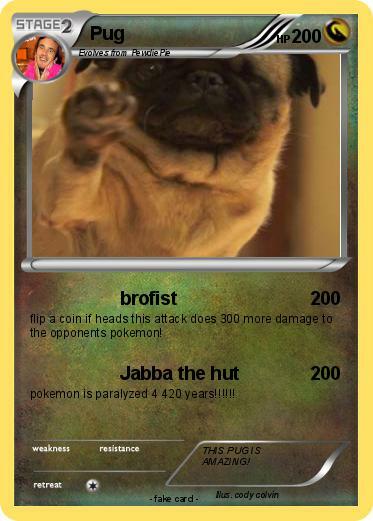 flip a coin if heads this attack does 300 more damage to the opponents pokemon! pokemon is paralyzed 4 420 years!!!!!! Comments : THIS PUG IS AMAZING!